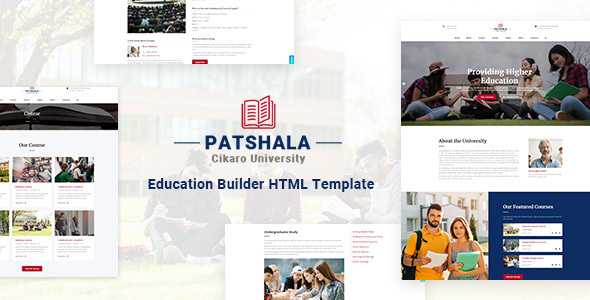 Patshala – Education Builder HTML Template is a modern and new-fashioned HTML template. Patshala is specialized for Education and eCommerce websites. You can use this HTML template for University, College, High School, Kindergarten, Coaching Center, Education Consultancy etc.